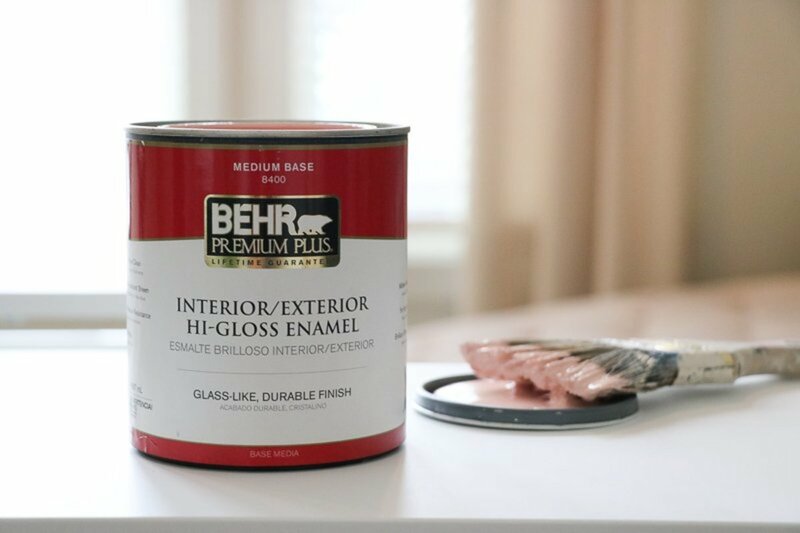 Whether you paint for a living or not, having good house painting tools on site helps you finish projects faster with better results. 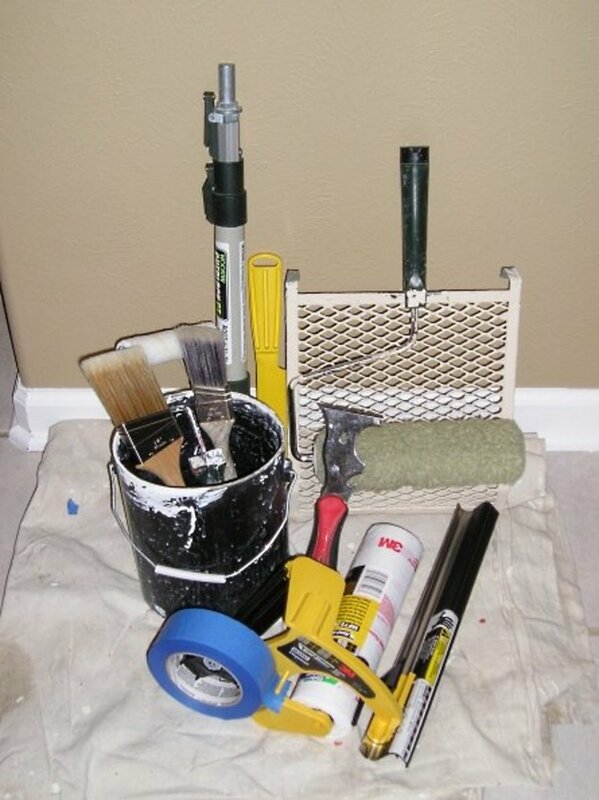 Instead of including the obvious paint brushes and roller sleeves everyone uses, I have included five tools you might not be using that are my personal favorites. These are some of my most versatile tools that I have been using for years on different painting projects. No matter what you're painting, preparation is always involved, and having to tape and plastic off surfaces without a hand masker isn't fun. The 3M hand masker is probably one of the most useful paint prep tools in my tool bag that saves a ton of time. I've had mine now for over ten years and it still works great. The masker holds one roll of 3M plastic, or paper, and one roll of any tape you want to use. The tool applies the tape and masking film to the surface at the same time instead of having to do both tasks separately. 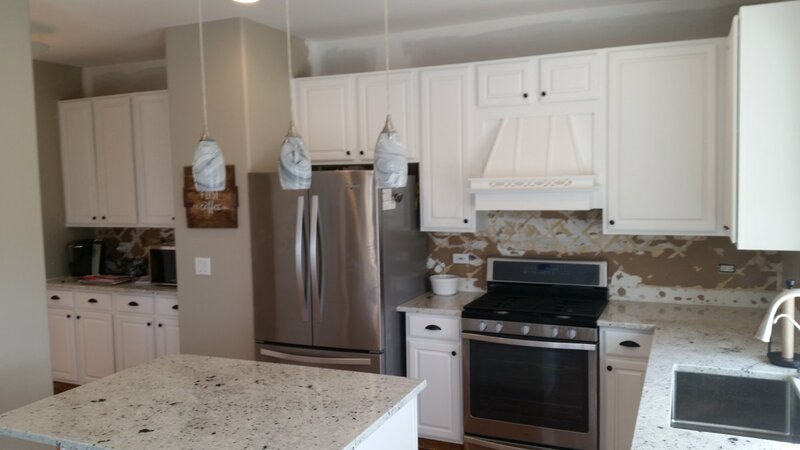 Once taped to the surface, the plastic is unfolded to cover the surface you want to protect. I use the 3M masker to cover floors, walls, windows and furniture. The rolls of 3M plastic film typically come in lengths of 24", 48", 72" and 99". The 48" rolls work great for covering windows. The 99" rolls cover standard eight foot walls almost completely. If you plan on doing any spraying, this tool is a huge time saver. The Pivit ladder tool is simply amazing. 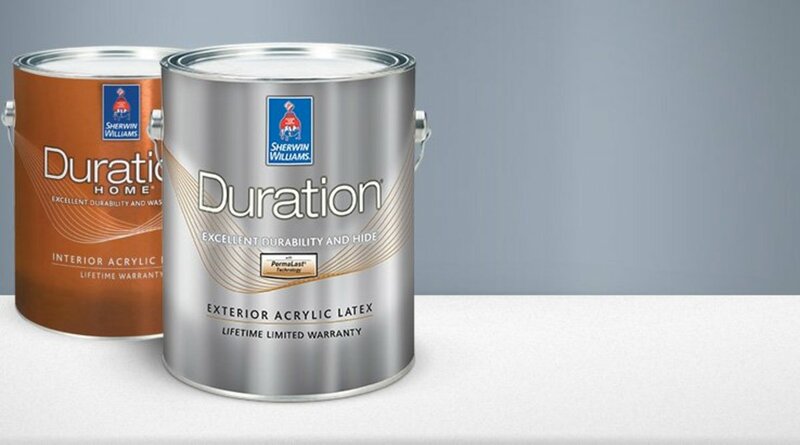 This versatile, plastic wedge, is my personal favorite when it comes to painting high walls over stairs, using an extension ladder, or for working on a roof. The Pivit tool can be used for a number of painting and ladder positioning tasks. 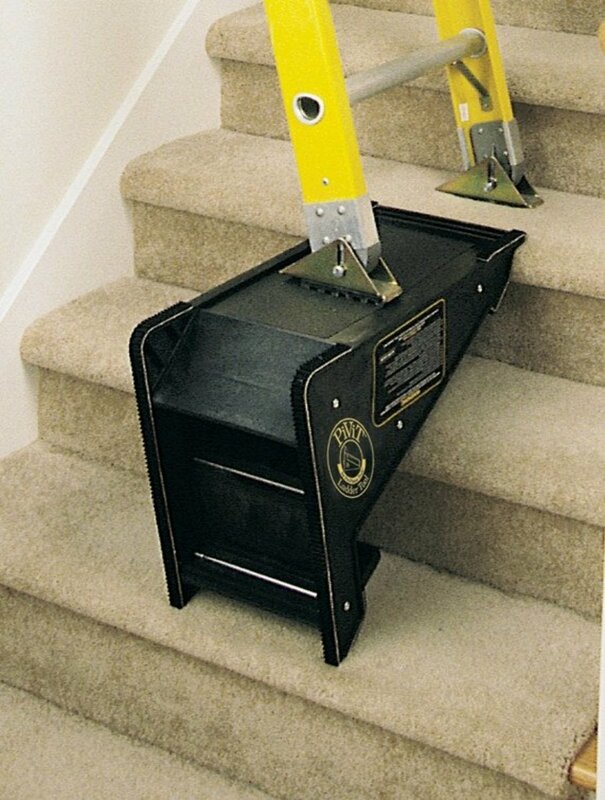 You can use it to level a ladder on stairs, or hold a plank, which I haven't personally done, but the way I use it the most is for leveling my extension ladder against a wall on a staircase. The bottom of the Pivit has gripping material for stability. I have been using this tool for several years and never experienced any problems with it. I feel safe when using it. When walking a roof to paint trim over it, I use the Pivit as a holder for my paint can. Like the bottom, the top also has sandpaper-like grip so your ladder feet, or paint can, don't slide off. 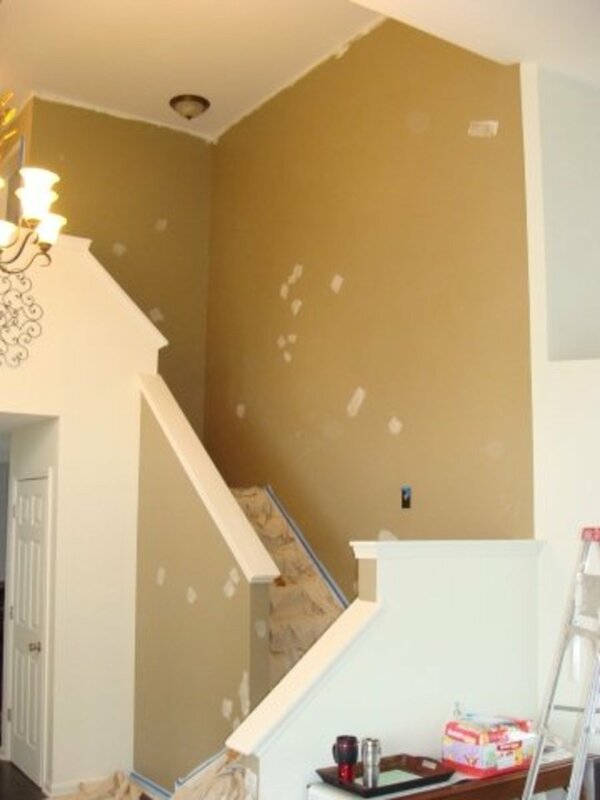 Cutting-in around fixtures on high walls, or ceilings, isn't always possible with an extension ladder. That's where a paint brush extender is so useful. 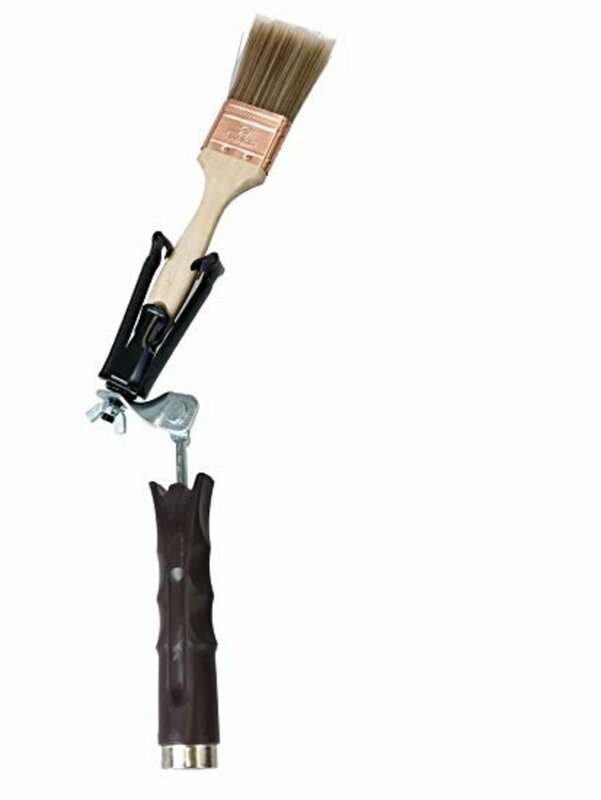 The brush is inserted into the extender and the extender attaches to any painting extension pole, which allows you to extend your paint brush to extreme heights for cutting-in hard-to-reach areas. The extender has two wingnuts that allow you to easily adjust the angle of your brush. A brush extender works awesome for cutting-in around a ceiling fan in the middle of a high ceiling that can only be accessed with an A-frame ladder. Even when painting a ceiling in a room with eight foot walls, you can use an extender to quickly fill the corners, instead of climbing up and down a ladder repeatedly to do the same task. My only gripe with a brush extension is the wingnuts come loose sometimes, but overall, I love this tool and it's always in my tool bag. The Roof Boot is made by the same company that makes the Pivit tool. Both tools can be used together, or separate. 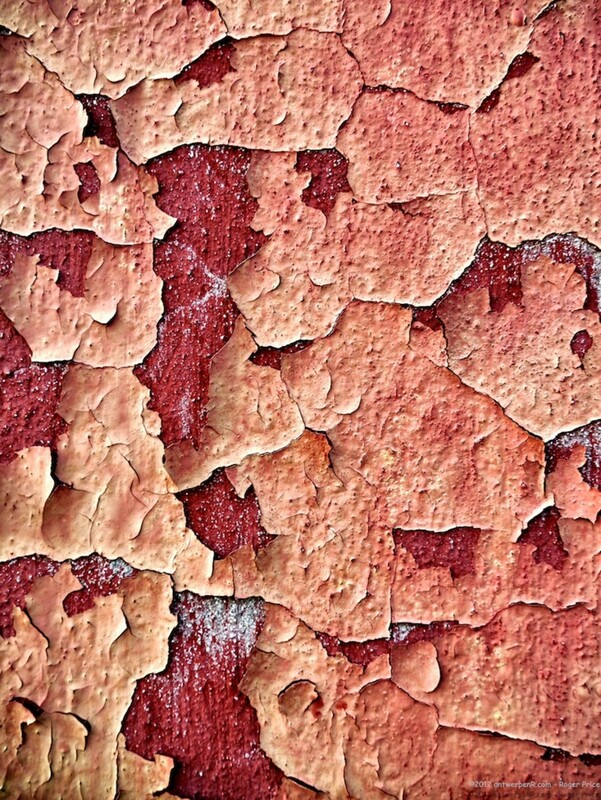 If you do exterior painting, you know setting up a ladder on a roof, or using multiple toe boards, can be challenging and dangerous. Some roofs are so steep that toe boards need to be fastened to the surface in order to climb up and paint. The problem with using too many toe boards is you're left with too many holes that need to be filled when you're done painting. One roof boot fastens to the roof with only four screws, allowing an extension ladder to be laid against it, on the roof, so you can use a ladder instead of creating multiple holes in the roof with toe boards. When used in conjunction with the Pivit, you can level an extension ladder on top of a roof to access gables and other areas that aren't always accessible with a ladder from the ground. Painting drywall with an 18-inch roller is a major time saver. I get terrible neck pain when painting ceilings, so the faster I can paint them, the better. The two best 18-inch roller frames are the ones by Wooster and Purdy. When you buy the roller sleeve and frame, you also need to buy the paint tray. If you're a self-employed painter, using an 18-inch roller helps you make money faster. When used in place of a standard 9-inch roller, you can paint rooms a lot faster. The only disadvantage is the heavier weight of the sleeve when it's saturated with paint, but for the amount of time it saves, it's worth it. Using a 9-inch roller to paint a large high ceiling takes too long. 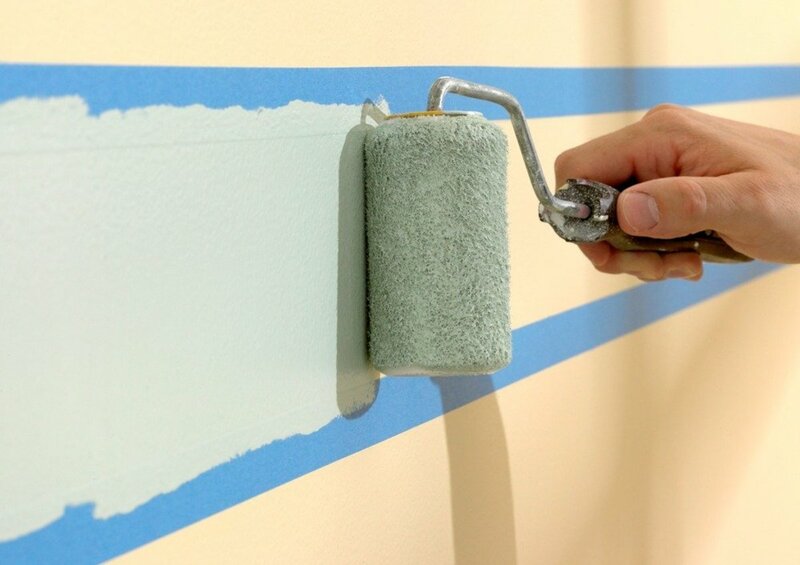 What's the Best Masking Tape for Painting?